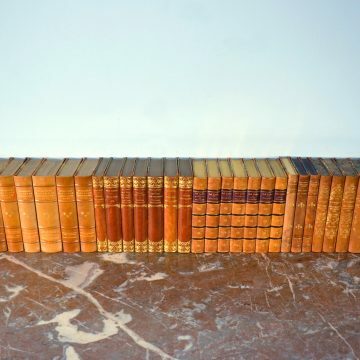 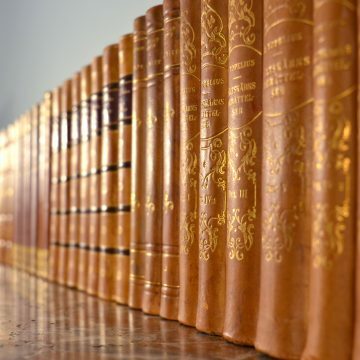 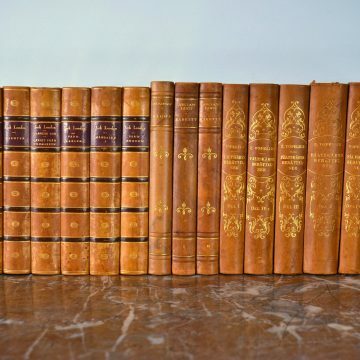 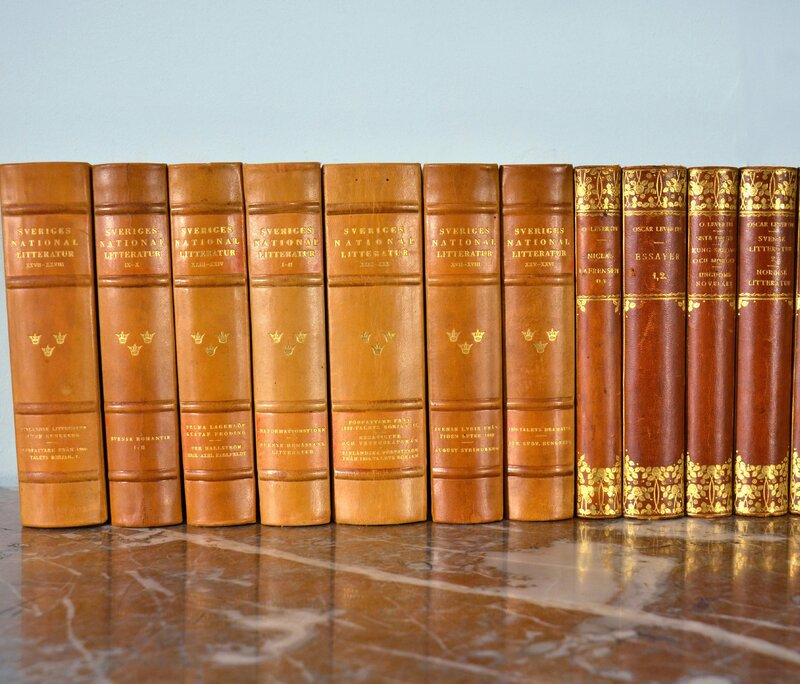 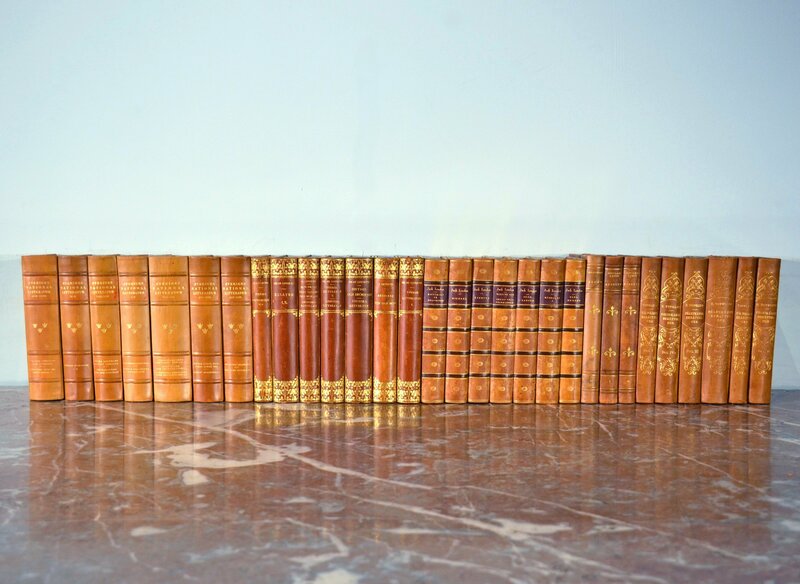 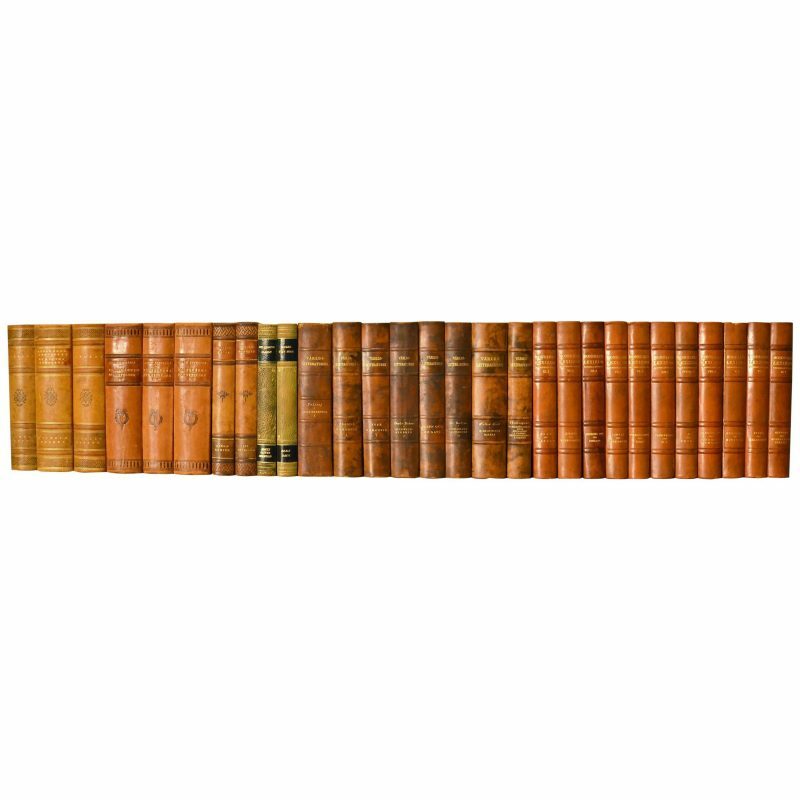 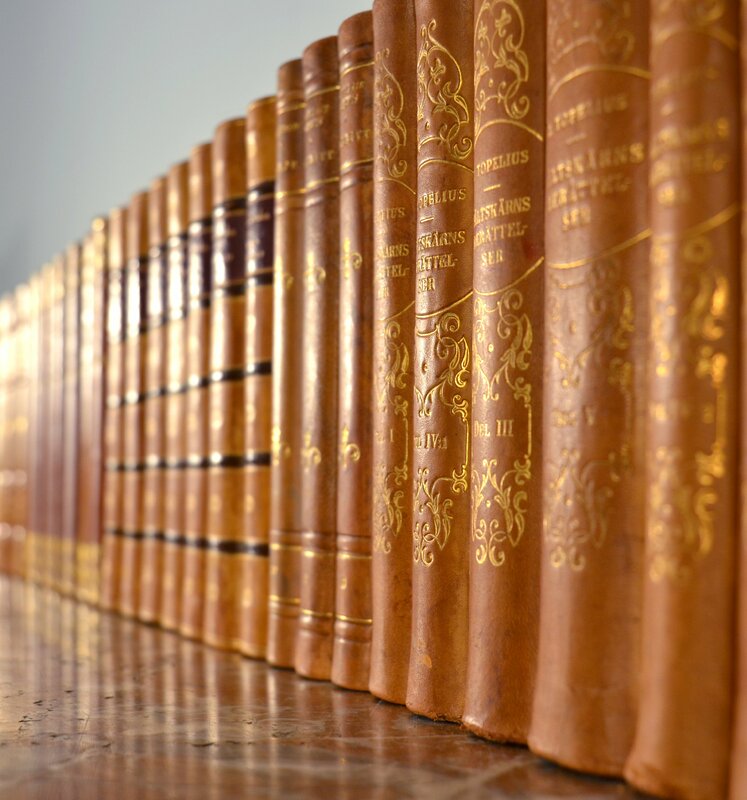 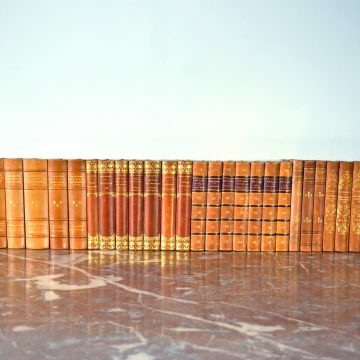 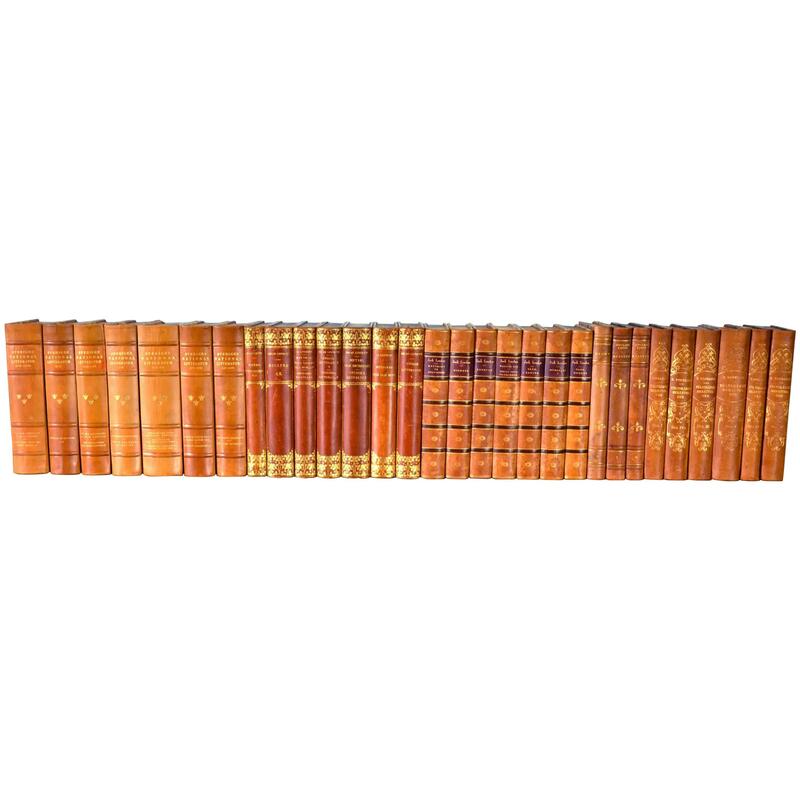 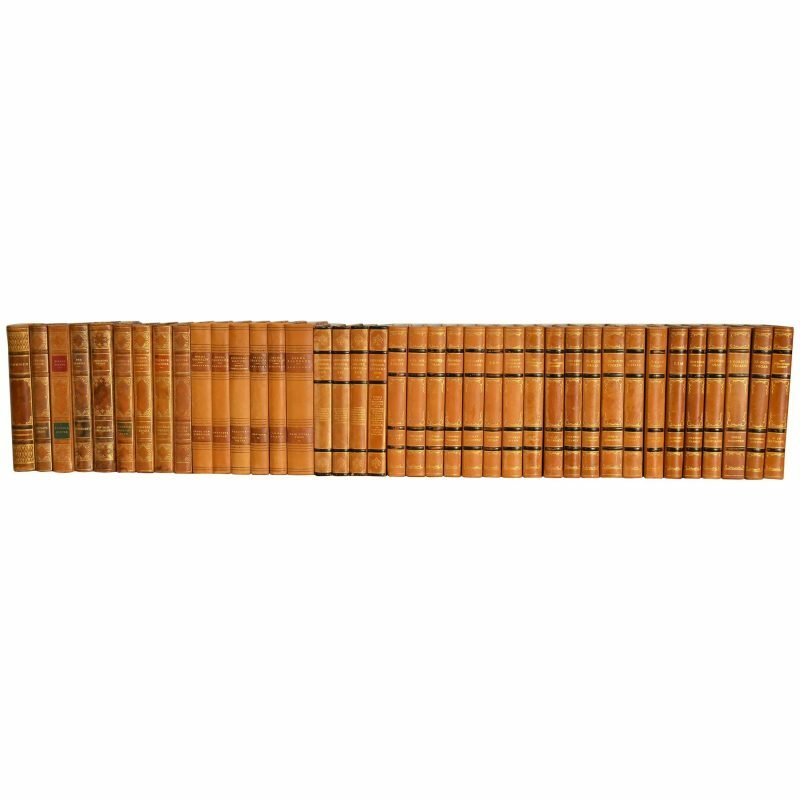 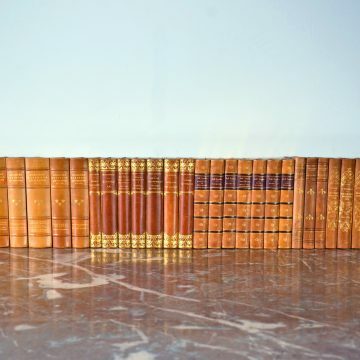 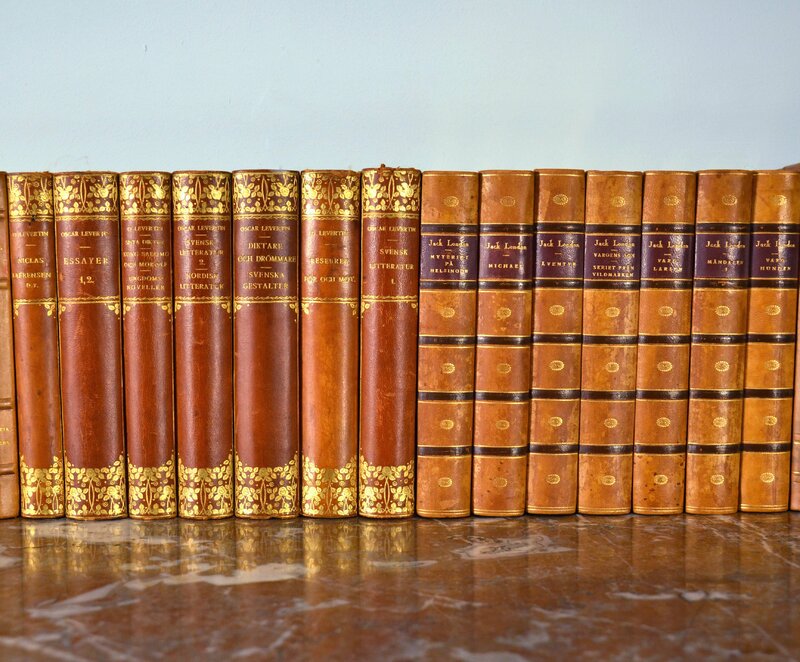 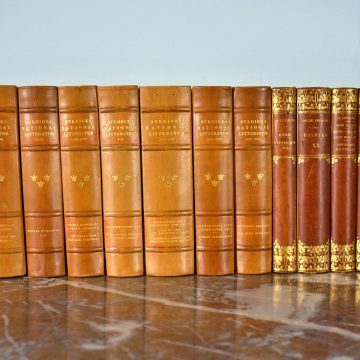 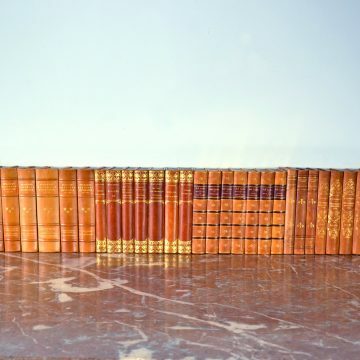 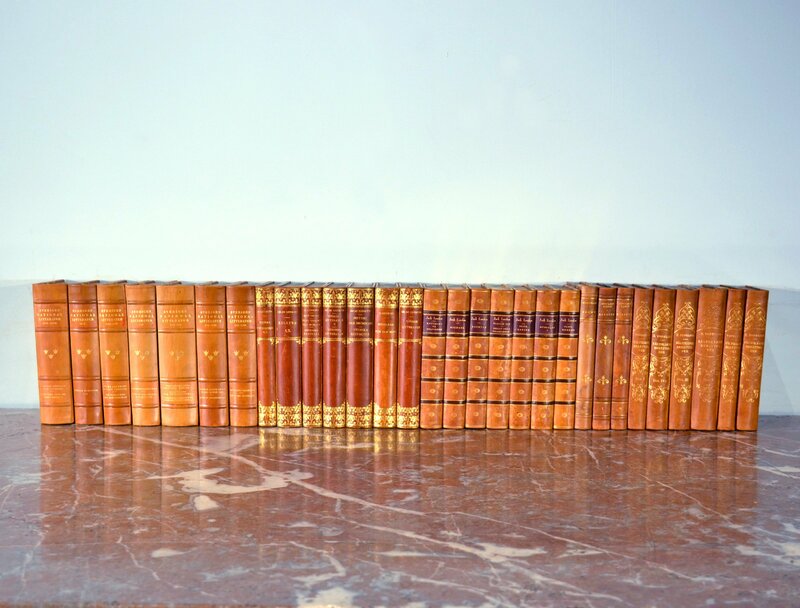 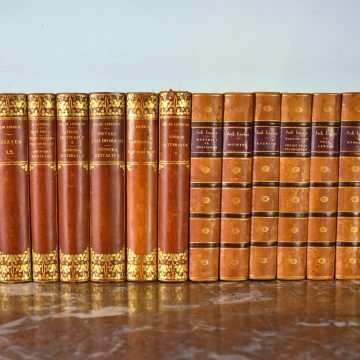 This lovely collection of leather-bound Swedish Literature books contains 30 books, in warm rich tones of dark brown, tan and burnished orange gold with gold leaf embossing and gilt edged pages. 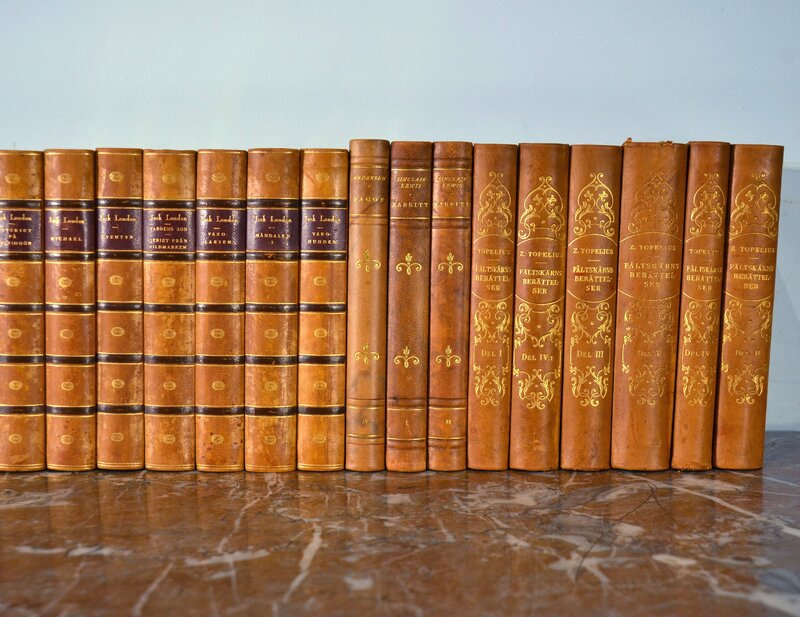 Aside from a few books that have minor scuffs and scratches, these books are all in very good condition and would beautifully enhance any bookcase or library. 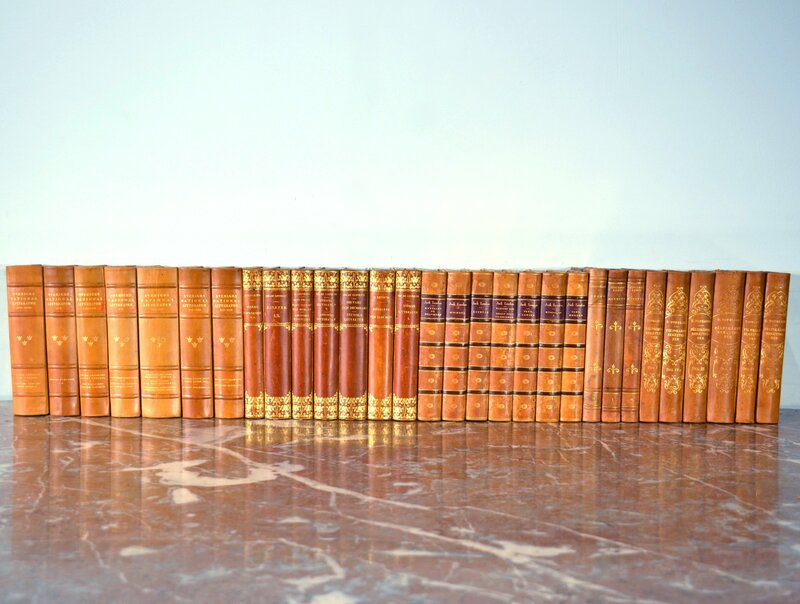 The books measure 39 in- 99 cm wide, with the tallest book height of 7 5/8 in – 19.5 cm and the deepest book depth 5 1/8 in – 13 cm. 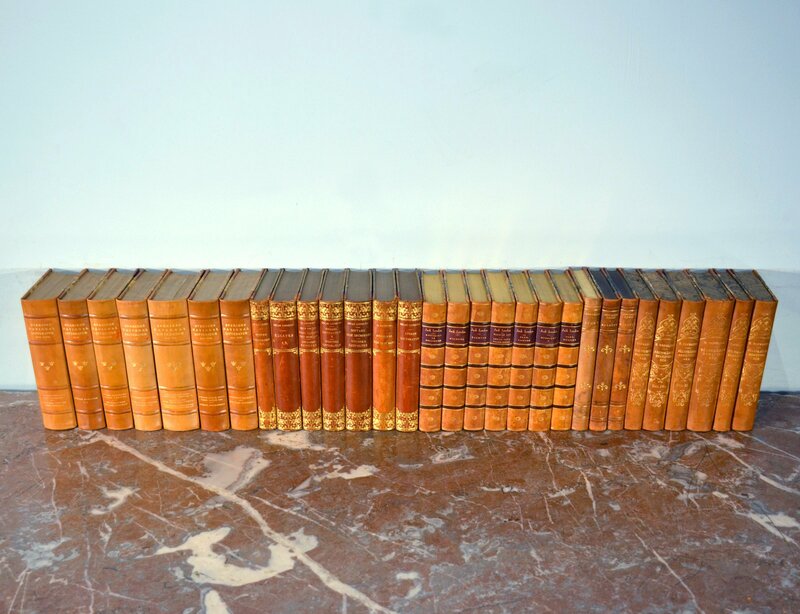 Please note, the books pictured are the actual books you will receive.